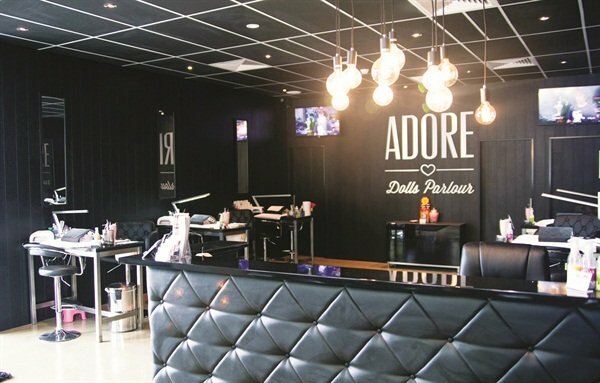 Adore Dolls Parlour specializes in acrylic nail art, making it the only salon of its kind on Australia’s Gold Coast. 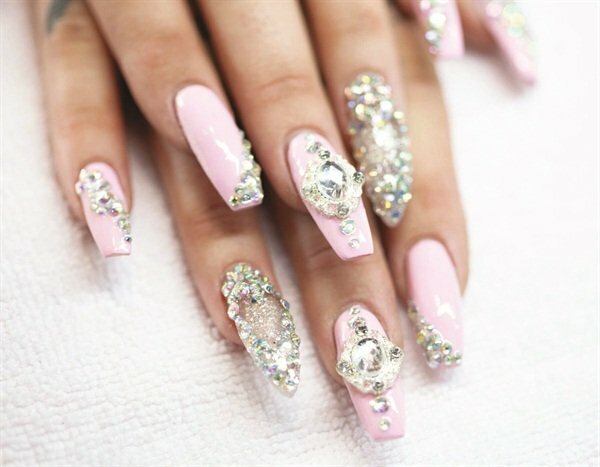 Unlike most nail salons, Adore Dolls Parlour in Varsity Lakes, on Australia’s Gold Coast, offers the niche service of acrylic nail art at an affordable rate. Owner Nicole Hague was always artistically inclined as a child. As a self-proclaimed terrible nail-biter, she began using stickers to cover them up. In high school she would get acrylics but she couldn’t find anyone to do the kind of “bling and diamonds” she wanted so she started decorating her own nails. Then she encountered a few Japanese tourists in her hometown who had extremely embellished nails unlike anything she had seen before. That sparked an obsession that led Hague first to nail school in 2010, and then to her doing nails out of a small studio. In November 2013, Hague’s clientele had grown so much, she and her team moved into the salon they are in today. Though Adore Dolls Parlour now also offers eyelash extensions, gel-polish manicures, spray tan, and full body waxing, the four nail techs, including Hague, mainly specialize in acrylic nail art — ranging from subdued looks to highly embellished, creative nails. “We like to think of ourselves as a boutique salon, just specializing in what we do best,” Hague explains. What makes Adore Dolls Parlour so appealing is that this level of nail art isn’t seen many other places on Australia’s Gold Coast. “There aren’t very many cool, clean salons that won’t rush you in and out,” says Hague. Keeping with the boutique theme salon, Adore Dolls Parlour sells only a few retail items: clothing with the salon’s logo, a tote, and OPI Avojuice hand cream and Joss Cuticle Oil for customers to maintain their nails between appointments. Hague’s choices for the salon’s decor were also planned to make the most impact, helping it to stand out to customers. She never liked the sterile look of all-white salons, so instead she opted for an all-black interior: walls, ceiling, and stations. She also chose large desks for nail techs to perform a single service at a time rather than trying to fit more than one customer at a table. And she invested in a custom-made leather Chesterfield desk for the reception area. “Clients appreciate that we took care with our salon. It doesn’t look cheaply done,” she says. The town itself, Hague explains, is relatively new, very clean, and fairly small. It’s also a 10-minute drive to the beach. With one street of shops and storefronts, Adore Dolls Parlour is right in the limelight. Plus one of the big shopping centers on the Gold Coast is a short drive away, making it easy for clients who travel to the salon from other areas to shop before or after their appointments. Hague explains that she and the three other nail techs in the salon can create any custom design that customers request. The salon’s pricing has different levels to suit clients with more subtle taste and those who are looking for embellishment on every nail. She and her techs draw nail art inspiration from almost anything — current fashion trends, nail art Instagram accounts, pictures clients bring in themselves, and of course, trade magazines. Because the salon now sees so many customers regularly, often these clients will let the techs do whatever kind of nail art they want, making it up as they go. “I love having free range. That’s how I come up with my best designs,” she says. The salon’s most sought-after services are its Advanced X and Superior — consisting of either two feature nails on each hand or custom nail art on each finger. Those services are AUD$62 and $69 (USD$54 and $60), respectively. The salon sees many young professionals between the ages of 20 and 35, but its clientele ranges from younger nail enthusiasts to older ones. And with one male client, Hague says she hopes to attract more. Though this unique salon is doing very well throughout its market, Hague has faced some difficulties with owning a salon. She explains that reminding her staff she is the boss is one of the hardest challenges. She is very close with her team and likes to thank them by taking them out to meals or shows occasionally, so that line can get blurred. Still, she tries to take care of her staff and ensure their happiness because they’ve been with her since she was operating out of a small studio. Hague explains that the closeness of the techs carries over to the customers because clients like coming in and seeing the same faces every time. “We make every appointment personal. We like to know what’s been happening with customers since we’ve seen them. We build relationships,” Hague says. 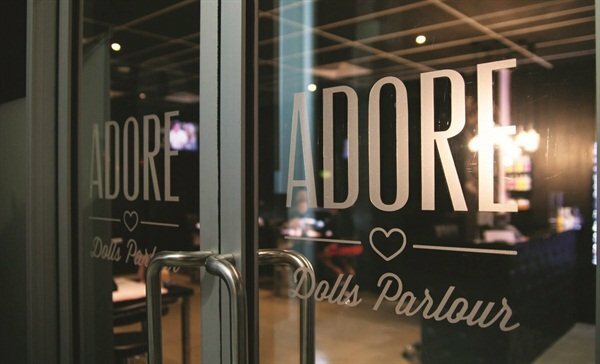 With the success Hague has seen, Adore Dolls Parlour will be franchising with a second salon opening in Brisbane early next year. Go to www.nailsmag.com/adore to see a slideshow featuring some of Adore’s great nail art.